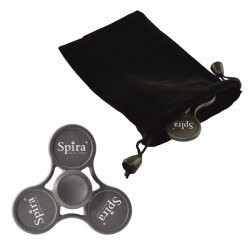 Fidget Spinners There are 8 products. 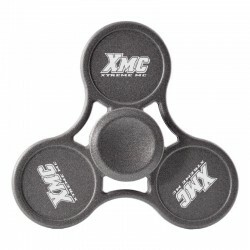 See what all the hype is about – and take advantage of the promotional power of one of the hottest items of the year! 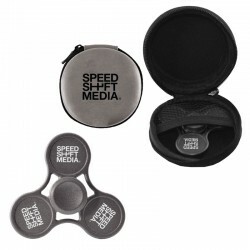 This high-end, custom laser engraved fidget spinner provides an incredible six minutes of spin time and features your engraved logo in 2 locations. 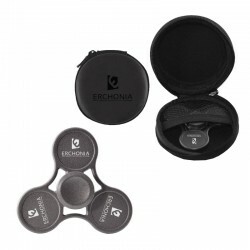 This personalized, three-logo fidget spinner features your custom laser engraved logo on the rich matte gunmetal finish. 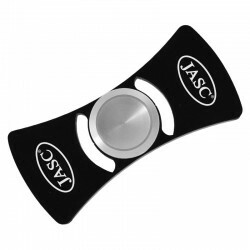 This personalized fidget spinner features the classic three-circle design, and is available in multiple bold colors.